Sue Urda is your Good Vibes Guidess. 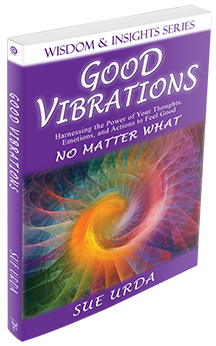 She has impacted thousands of women through her transformative talks and inspirational writings that teach people to embrace the power of feeling good. 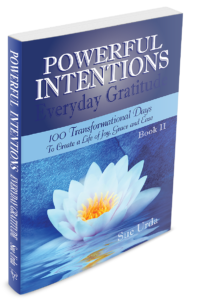 Sue loves helping women discover the freedom of authentic alignment, tap into and use their unique and precious gifts, and live their lives each day with more simplicity and intention, grace and ease. Sue is a two-time honoree on INC Magazine’s list of the 500 Fastest-Growing Private Companies and has been a successful entrepreneur for 30 years. She is an Award-Winning and Amazon #1 Bestselling Author, and a prolific, inspirational writer and speaker. As co-founder of Powerful You! she has connected thousands of women for business, personal and spiritual growth, and she has helped more than 300 women achieve their dreams of becoming a published author. Sue is a thought leader who thrives on and loves studying the pioneers and newcomers to the arena of personal development and spiritual growth. Her own lifelong mission of personal discovery and her sometimes messy journey have led her to love the life she has designed, and she now lives and teaches everyday practices that really work as a way of paying it forward. Sue is passionate about helping people make meaningful decisions that they feel good about, and move them to actions that are aligned with their values. Sue loves assisting women to find the feel good and live in that space every day. 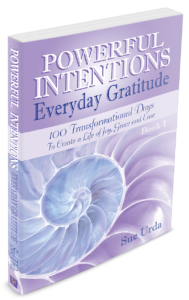 Get Your Free 7-Day Transformational Video Series Today!